When’s a new car not a new car? When it’s one of the tens of thousands of pre-registered models that go to new owners every month. Pre-registering is a practice encouraged by car makers because of how dealers receive bonuses. And it means there are bargains to be had for car buyers. Here’s our guide to buying a car with a handful of miles on the clock for a lot less than its brand new equivalent. It’s no secret that car dealers up and down the country carry out what are known as pre, self, or tactical registrations. This is when they buy the car themselves and register it. They can then sell the car to customers for a discount price because although it may only have covered a handful of miles, it is effectively second-hand. You’re essentially getting a brand new car for a significant discount. 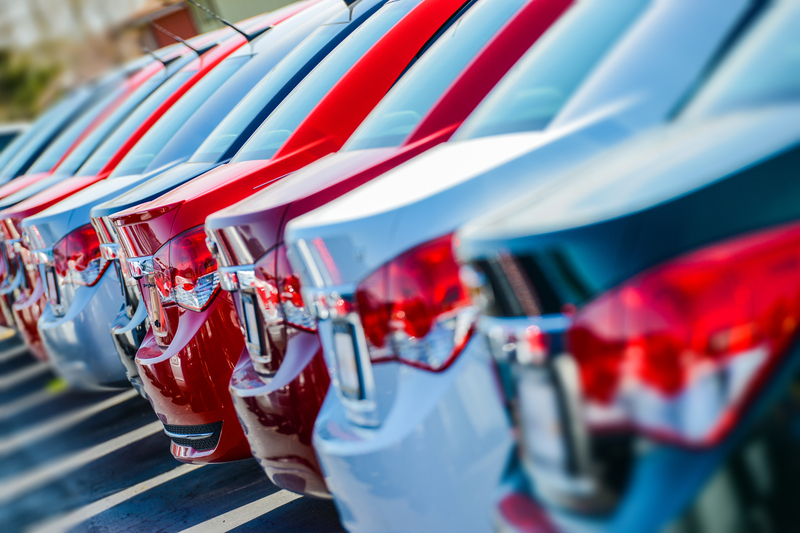 Cash flow is everything for car dealerships. When they pre-register cars they are tying up money in that metal so they’re generally keen to shift pre-registered cars as quickly as they can. It means they’ll be open to haggling on the price. Depending on the make, model and its popularity, discounts can vary between 5 and 25 per cent on the new price. Rather than waiting for delivery, you can also drive the pre-reg away almost immediately. Although the car might look shiny and new, technically it’ll be second hand and you’ll be its second owner. This means a couple of things: you have no choice over how it’s specified or the colour it’s in. And while new cars are driving out of dealerships with 66-plates, pre-registered cars are likely to be 16-reg. Dealers also tend to give their best finance offers on new models so you may not benefit from bonuses such as 0 per cent finance on pre-registered cars. As a pre-registered car is second-hand, there will be an impact on its value when you come to sell it. Also, the manufacturer warranty will have started the day the car was registered. Buy a car that was pre-registered six months ago and your warranty will only last another two and a half years. If a new car is written off, some insurance policies may replace it with a new car. Your pre-reg won’t be new so think about taking out a GAP insurance policy that will enable you to replace it like-for-like should the worst happen. Dealers have also been known to hang onto the V5C registration document so make sure you get hold of this when you buy the car. What’s the difference between pre-registered and demonstrator? You will be able to tell a pre-registered car instantly: it will only have a handful of miles on the clock, maybe fewer than 10, certainly no more than 200. A demonstrator will have thousands of miles under its wheels. The difference is important because the demonstrator will have worked hard during its life. It will have been used ‑ and possibly abused – by numerous drivers. It will have been taken on test drives, maybe even loaned to prospective purchasers overnight; who knows it might even have been given to the junior sales exec for the weekend. There will probably be nothing fundamentally wrong with the demonstrator but you need to inspect it thoroughly for paintwork and interior damage. A pre-reg, meanwhile, should still have that nice new feel to it. Why do car dealers pre-register? On the face of it, the dealers are selling pre-registered cars for a loss. After all, they buy them new, then sell them for less. However, that doesn’t tell the whole story. Dealers get rewarded by car manufacturers for every car they sell and for hitting certain targets. If, for example, a dealer pre-registers five cars in a quarter and those cars enable him to hit a target, the bonus that dealer will get from the manufacturer will eclipse the difference between what they pay for the car and what they sell it for. We have purchased many pre registered cars over the past thirty years and have always received all the documents immediately. Who on earth would buy a car without the correct documents? 1. Is it possible to tell if the milometer [?] of any car, preregistered, second-hand or otherwise has been rewound? 2. Jeff Bradley mentions that dealers may sometimes hang onto the log-book for up to six months. Why would they do this, can’t you insist on being handed the log-book at the time of delivery or collecting the vehicle? Regards. J.T.D. PS. I found this article very interesting and informative; thank you. 1) Some cars have a tamper warning light that illuminates in the instrument cluster, often next to the digital mileage display. However, it’s often very discreet. A franchised car dealer or reputable garage should be able to interrogate the car’s electronic diagnostics and verify the car’s mileage. Bear in mind, the odometer isn’t the only place where mileage is stored; there are other parts of the electronics where this information is logged. 2) Yes they will want to hang onto the V5C, often referred to as the log book, probably for 90 to 180 days after a car has been registered. It can be part of their terms of sale with the vehicle manufacturer, a hangover from when pre-registration activity wasn’t as common. However, some manufacturers ignore the rule. Saved £5K on Golf which had 11 miles on clock sat around in a field for 5 months as it was “lost” until stock check. 22k miles later in 2 years good as new!